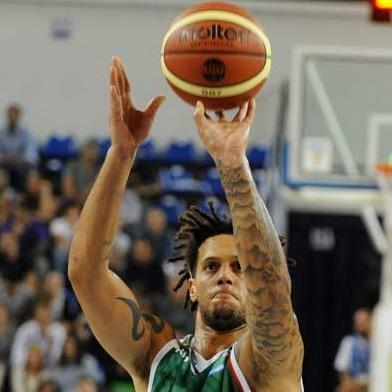 So a professional baller getting himself into trouble via a few ill-advised tweets is hardly news, but Daniel Hackett’s popping off on Twitter last night could have long-term ramifications for his standing on Montepaschi Siena for the remainder of 2012-13 and even for Team Italy in the future. Sportando and Italy-based Corriere dello Sport report that club officials are reviewing the situation with regard to keeping Hackett on the squad at all, while the former source implies that his position on the national team has become suddenly tenuous. Prior bad/missed calls by the refereeing corps aside, Siena looks to have helped blown their own game with poor shot selection and generally uncharacteristic non-clutch play. With Milano up three with 40 seconds to go thanks to an overly rushed Siena possession, Leon Radosevic fouled out to give Kristjan Kangur two chances to extend the lead. Both free throws clanged, but the rebound chased down to lead to a corner three from Matt Janning. After Milano answered with another three, Kangur was the beneficiary of a questionable decision earning him three chances at the charity stripe and, well, let’s just say the game degenerates into whistle after whistle … is this what sent Hackett over the edge? As for Hackett’s injury, news on the severity and games to be missed are reportedly to be revealed today.